Getting a ring appraisal isn't exactly something you do every day, and unknowns can be intimidating. It’s time to set the record straight on some common misconceptions about when a ring appraisal is needed, when it isn’t, and which details are required for insurance. Right off the bat, let's clear up some of the most common misconceptions surrounding appraisals for insurance. Myth: You don’t need an appraisal if you have a credit card receipt that shows how much you paid for the jewelry item. Truth: A credit card receipt likely won’t provide enough information. Insurance usually requires a detailed description of your jewelry, which you are more likely to find described on an insurance evaluation, appraisal or very detailed sales receipt. Myth: You can't insure your ring until the appraisal or detailed description is complete. Truth: We can't speak for everyone, but with Jewelers Mutual most customers can initiate coverage without submitting appraisal documentation. (There are some exceptions.) You do, however, need an appraisal (or other adequate documentation) at the time of a claim. Myth: You can use an appraisal or detailed description that was done when the ring was purchased five years ago. Truth: Jewelry values fluctuate. To ensure your ring's covered for the right amount, use a value determined within the past 18 months. Now that you know if and when you need an appraisal, let's dive into what your appraisal needs to contain. Your insurance company uses your appraisal to set the coverage limit on your policy. Basically, it helps them decide how much they'll pay out in the event of a claim (which also decides how much your premium is). If your insurer doesn't know exactly what your ring looked like before, how can they replace it with same kind and quality? 1. Ask your jeweler for an appraisal, insurance evaluation or detailed receipt right away – it will save you the trouble of having to go back and ask for one later. 2. Make sure the jeweler or appraiser uses official business letterhead with their contact information in case your insurer has questions. 3. Ask your jeweler or appraiser for their credentials. Not just anyone is qualified to give appraisals. Don't know where to start? Check American Gem Society, the National Association of Jewelry Appraisers or Gemological Institute of America for a list of qualified appraisers. Since jewelry insurance premiums (the amount you pay annually to maintain your coverage) are typically based on the value of the jewelry, what would happen if that value was incorrect? If your ring’s value was overinflated, you could spend more than necessary to insure your piece. Or, the reverse could mean you’re underinsured and may incur additional out-of-pocket expense to repair or replace jewelry that becomes damaged or lost. Insuring your jewelry for its current retail replacement value is vital to repair or replacement. You're not required to insure your ring, like you are with your car. 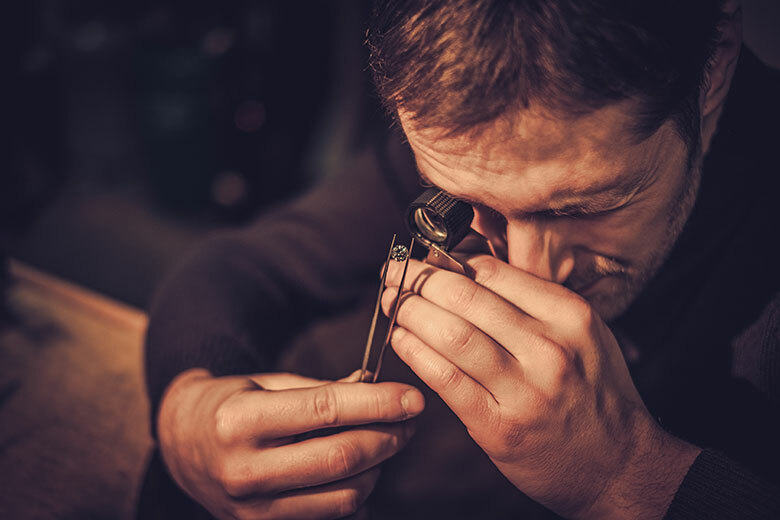 So if you're going to make the (smart) choice to invest time and money into ring insurance, make sure it's for the right amount by getting a quality appraisal. Editor's Note: This post was originally published July 29, 2011 and has been updated for accuracy.